Espresso Library is a fusion of a cycling cafe, art gallery, specialty coffee shop, restaurant and a bar- so there's definitely something for everyone! 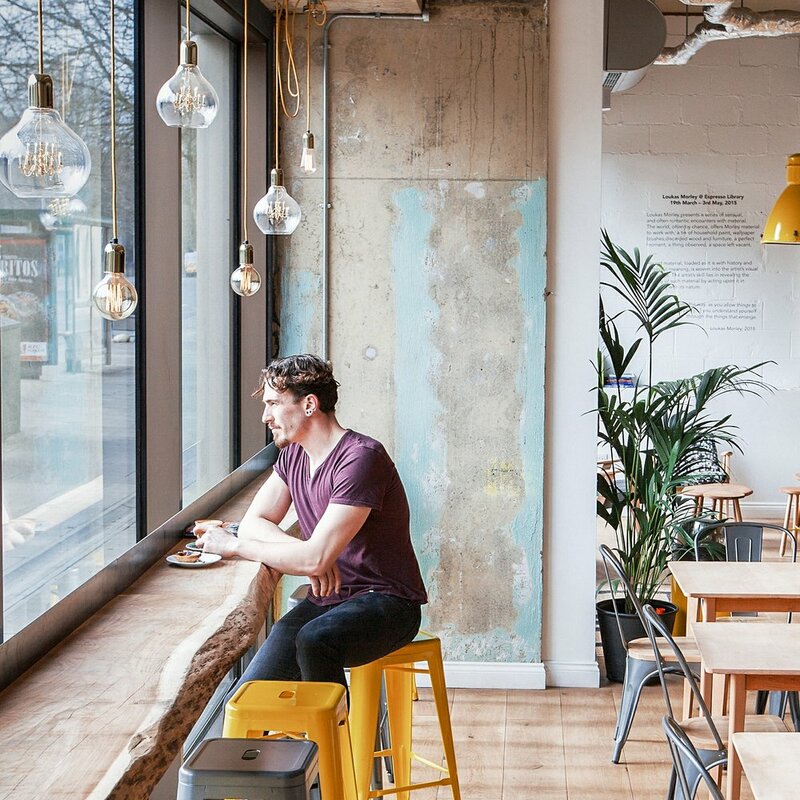 This chilled cafe is particularly for you if you are a fan of speciality coffee - the founders John and Malgo take pride in how they prepare your coffee and where it's sourced. Their coffee is roasted by The Coffee Officina which is based in Essex. A lot of effort and education goes into the coffee options in Espresso Library- not only do they choose coffee that has fairly treated people at each stage of the production, their choices are dictated by the which coffee is in season.